This page lists the week by week targets revealed by the Eagle Eye Installations in case they are useful. Week 1 locations not recorded – included known Thargoid Structure locations, previously attacked starports and Huveang De – a system not attacked yet. At the end of the week it was announced in Galnet that defence by CMDRs had held off the Thargoids. Local security services in the Huveang De system have announced today that there have been no new sightings of Thargoids over the last 24 hours. Some Thargoid Structures only gave two targets, and there was a larger variety of targets. There are two un-attacked starports – Glazkov in Irandan and Lorentz Dock in HIP 21559. This week Glazkov in Irandan was attacked, Lorentz Dock in HIP 21559 was not attacked. Both were given support megaships (Acropolis and Vanguard) mid-way through the week that provided Thargoid Massacre missions. There are two un-attacked starports – Lasswitz Terminal in Mentor and Doyle Landing in Lunguni. Thargoids targeted INRA related sites for the first time this week (INRA previously attacked the Thargoids). This week there were three Thargoid Structures pointed to by the Eagle Eye starports. Each of these structures pointed to two locations. Only one (Madngeri) is new, Lunguni was attacked in week 4. Two of the target (Lunguni and Pleiades Sector IH-V c2-16) do not work as expected – the Thargoid Link ‘points’ (which usually indicates correct system), but do not indicate a specific location – it just points where it was directed before the message plays (this happened for one target the previous week – Pleiades Sector PN-T b3-0). There are rumours that the shadowy organisation behind Operation Hrafnagud’s Eye may be sabotaging the Eagle Eye installations in order to discredit their previous 100% record. This week is also the first week that it appears a single Barnacle is being indicated (previous weeks Barnacle Forests were indicated). Neither of the targeted systems were attacked, but Guidoni Enterprise in HIP 9599 was attacked (it is believed that the Lunguni signal should have indicated HIP 9599). Two new targets were identified. There was a typo in one of the Eagle Eye messages – Pleiades sector lx-u c2-2 ab 4 a was given as Pleiades sector lx-u j2-2 ab 4 a. Otherwise all targets were identified and confirmed via Thargoid Link. More sabotage from Operation Hrafnagud’s Eye is believed to be behind an inability to detect Thargoid incursions in these systems for several days. Thankfully this was been remedied and Non-Human signal sources appeared in both target systems, though only two days before the attacks were expected. This week we only had two days to defend the systems and both Kunuvii and 32 c Piscium were attacked (Non Human Signal Sources only appeared on Tuesday before the attack on Thursday). The targets identified this week were all new systems, so we have six systems to defend. Some do not have starports (only starports have been attacked so far, no smaller outposts or surface bases), some do not have ammonia worlds / ammonia gas giants (all systems attacked so far have these), and some do not have Non-Human Signal Sources. Only 4 Starports have transmitters, in the other two attacked Farragut appear to be the target. It is believed that either the Thargoids are injecting false targets, or it is further interference from Operation Hrafnagud’s Eye as it finds itself increasingly sidelined due to successes of the Eagle Eye system. Targets satisfying all conditions for attacks are LP 581-36 and Deriv-Dar. See news article for more details of the changes in the targeted systems. In recent weeks targets have moved between 30-60Ly each week, and the current targets are 80Ly from Sol. This week LP 581-36 was attacked, the other five targets were not. Of the four targets this week two are INRA bases. Trocnades had no Non Human Signal Sources, and only SPOCS 253 has the expected Non Human Signal Sources. Surveying nearby systems with Ammonia-related planets we found Deneb Algedi to have Non Human Signal Sources (and a transmitter at Burke Point), so we believe that to be the second attack target (it is closer to the attacked LP 581-36 system, so we believe it is part of that branch of the attack). Several systems contained attacked Megaships, but no Distress Calls this week. The Aegis megaship Vanguard was in Ngauna, where a transmitter was found near Young Enterprises, and the Acropolis was in Trocnades. Argestes, so these are believed to be this week’s targets. This week no starports were attacked, both were successfully defended (first time this had happened). Aegis Megaships were dispatched to Aogni and Vanir (neither of which were Eagle Eye targets) and wrecked megaships were found in several systems. Non-Human Signal Sources were found in LTT 8517 and Dalfur, so these are believed to be this week’s targets. Note that NHSS seem to spawn in systems within 5 Ly of target systems. NHSS were found in the systems targeted last week (Argestes and 63 G. Capricorni). This week no starports were attacked, both were successfully defended (second time this had happened). Aegis Megaships were dispatched to Coquim and LHS 1453 (neither of which were Eagle Eye targets) and wrecked megaships were found in several systems. No Non-Human Signal Sources found in the target systems to begin with. NHSS still present in last weeks targets Dalfur and LTT 8517. This week no starports were attacked, both were successfully defended (third time this had happened). Aegis Megaships were dispatched to Seliacha and Ancanec (both which were Eagle Eye targets) and wrecked megaships were found in several systems. Main change this week is that Aegis megaships were both targeted by Eagle Eye. This week no starports were attacked, both were successfully defended (fourth time this had happened). The Aegis Megaships were not attacked by Thargoids (despite being targeted) and were successfully dispatched to Dalfur and Spinoni (neither ship are now Eagle Eye targets, though we note a starport in Dalfur was previously targeted). Wrecked megaships were found in several systems. This week one of the three Thargoid Structures pointed to by Eagle Eye was previously unknown to us (Synuefe HZ-M d8-69 B7f at 6, -124), and one of the targets is Eagle Eye Three itself (a first). 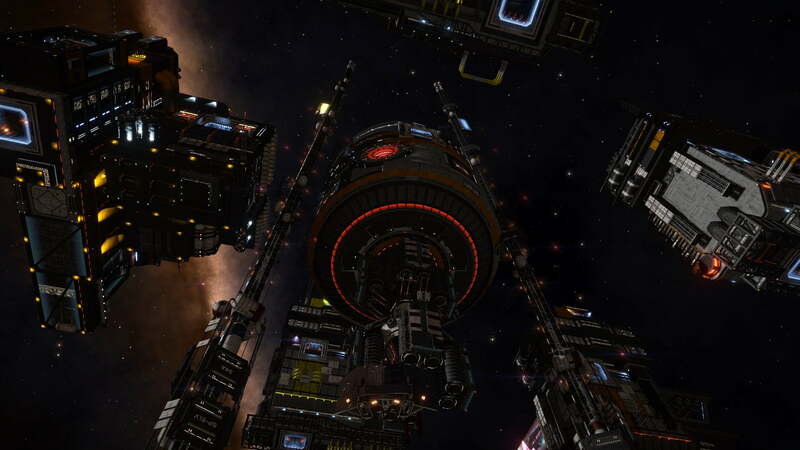 One of the INRA bases that the Thargoids had not previously detected was also targeted (Hogan Depot – one remains unknown to the Thargoids according to Eagle Eye – Mayes Chemical Plant). The targeted systems were HIP 21599 and LP 581-36 – both of which have previously been attack targets (though different starports are targeted this week). This week no starports were attacked, both were successfully defended (fifth time this had happened). Both Aegis megaships are targets this week, along with Eagle Eye 2 (previous week Eagle Eye 3 was targeted but not attacked). The targeted systems were Nauni and Kung Mu. Kung Mu is a new target, Nauni is still under repair (first time this has happened). This week no starports were attacked, both were successfully defended (sixth time this had happened). Aegis megaship Vanguard chose not to jump this week, and stayed in Socho, Acropolis jumped to Daruwutja. The targeted systems were Assinda and Kambila, both new targets though Assinda has been host to an Aegis megaship before now. Thargoids finally found the INRA Mayes Chemical Plant this week – they now know about all the INRA settlements that we do. Eagle Eye also pointed to the permit locked Col 70 (which is one of the reference systems used in the Thargoid location calculations – see details on the Thargoid Probe entry). Galnet announced that the target was Deciat this week (start of the 3.1 era). Checks on Eagle Eye confirmed multiple targets in Deciat, though no starports – planets and Megaships are targeted. No starports attacked. 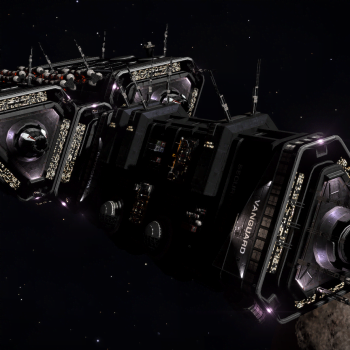 Nogambe and Tembala targeted along with an Aegis megaship, one of the recently found attacked settlements, a crashed Thargoid Scout and an attacked cargo ship in Yembo. Tembala attacked. Aegis ships jumped to HIP 44811 and Wolf 636 – which were also the targeted systems. Eagle Eye transmissions changed so that all transmit on the hour (were previously at 10 minute intervals). Wrecked Megaships and Distress calls found in targeted systems. HIP 44811 attacked. Aegis ships jumped to Oscabi and Jiman. Eagle Eye transmissions again all transmitted on the hour. No wrecked Megaships and Distress calls found in targeted systems. Target in Jiman could not be identified as Thargoid Link does not point consistently – possibly target was the Aegis ship or one of the missing megaship wrecks. Di Jian and RMK 6 both attacked. Aegis ships jumped to Gree and Triton (the system, not the planet in Sol). Eagle Eye transmissions reverted to normal times. No wrecked Megaships and Distress calls found in targeted systems, which are Bok and Dhanhopi. Dhanhopi attacked. Aegis ships jumped to CW Ursae Majoris and Kamadhenu, which were also the target systems. Wrecked Megaships found in targeted systems. CW Ursae Majoris contained interceptor grade signal sources, Kamadhenu only had scouts. Eagle Eye 4 signals both seemed to be inaccurate – one signal location was not identified, and the both seemed to point to a system around 10 Ly from the actual target (though the TL pointed correctly to the target). Both starports saved. Aegis ships jumped to Magec and Nu-1 Columbae. Targets are Magec and HIP 30045. Both starports saved. Eagle Eye transmitting a message indicating it is recalibrating, LHS 283 identified as a target by looking for Non Human Signal sources, the other target Valkups was only detected with hours to go. Henry Dock in Valkups was attacked. This was expected as the target system was only found hours before the end of the week. Aegis ships jumped to LHS 304 and LTT 17868. Targets are Zavijah and Flech (second time Flech has been targeted). This week was also notable for being the first week where attacked settlements The Sanctum and The Prophet were revealed by Eagle Eye (previous settlements had already been found). Also, the Canonn megaship The Gnosis was targeted as it proceeds towards the locked Cone Sector, another first as previously only the Aegis Megaships had been targeted. Both Zavijah and Flech were attacked, as was The Gnosis. Loss of the normal targets was expected due to the lack of scouts in targets. The attack on The Gnosis was not predicted (normally targets without Thargoids are not attacked). Aegis ships jumped to Egeria and Chipatisany. The Gnosis attack was part of the ongoing ‘Gnosis jumps into the Cone Sector’ storyline – explained as a misjump to Outotz ST-I d9-6 caused by Thargoid Interference. Several Eagle Eye signals this week pointed to a planet in the same system, and two new Barnacle Forests and an inactive Thargoid Structure were found. Barnacle forests are at 55.50 // -85.65 and 76.22 // -78.36. Walgal was attacked this week. Aegis ships jumped to CD-62 234 and Minmar. Targets this week were UGP 145 and Agastani. UGP 145 was attacked this week. One Aegis shipstayed in Minmar, the other jumped to LHS 1442. Targets this week were HR 784 and Argestes (third time Argestes has been targeted, though a different starport on this occasion). The wrecked megaship has the same designation as the one attacked last week in a different system. No Non Human Signal Sources in the system, but maybe the Hydra are nearby. No systems attacked this week, both successfully defended for the first time in a while. Aegis ships jumped to LHS 1599 and Michael Pantazis. Targets this week were Dalfur and HR1257 which have both been attacked before. The wrecked Lowell Class megaship has the same designation as the one attacked for the last two weeks, but Hydra remain in the Outotz BX-I c23-1 system (they have not moved with the wreck). No systems attacked this week, both successfully defended. Aegis ships jumped to Nauni and Bhal. Targets this week were LDS 883 and Otherni. Last week hydra returned to Celaeno, Merope and Maia, and when targets were looked at this week it seems they have started to appear in them too – including Bhal and Nauni. No systems attacked this week, both successfully defended. Aegis ships jumped to Ragapajo and Uzumo. Targets this week were Dulerce, Li Tzicnii and Kareco – first time with 3 target systems. Li Tzicnii attacked this week. Aegis ships jumped to Zephyrus and HIP 36512. Targets this week were Gertrud, HIP 9141 and Nogambe. Wayutabal and Iota Pictoris A were attacked this week. Aegis ships jumped to Murus and Erh Lohra. Targets this week were CD-54 471, Ngaiawang and Brib. All other targets were back in the Pleiades, and all failed to provide an exact target – TL lit as expected for a target system, but did not point in a consistent direction. Ngaiawang and Brib were attacked this week. Aegis ships jumped to Ulchs and MCC 572. Targets this week were Oraon, Dulerce and Thraskias. One of the Thargoid Structures returned no messages (usually they return two) – reasons for this are unclear. The target from this location (Oraon) was identified by CMDR Maligno finding the transmitter without help from the Thargoid Link. Dulerce and Oraon were attacked this week. Aegis ships stayed in Ulchs and MCC 572. Targets this week were Ross 129, HR 3499 and LHS 6187. The three other signals were pointing to Thargoid Structures, two of which were active. These structures were checked in case of further message changes, but a sample two messages were unchanged. This is the first week so many Thargoid Structures have been targeted since the early weeks. Goddard Hub in HR 3499 and Hooke Gateway in LHS 6187 were attacked this week. Aegis ships moved to Dao Kach and LP 214-26. Targets this week were Dhanhopi, Jambin, LHS 2524. The three other signals were pointing to Thargoid Structures, similar to last week, and included the first structure found. Dhanhopi targets Plucker Enterprise, second time an already attacked (still repairing) starport has been targeted, last time was Nauni. Chiang Prospect in Jambin was attacked attacked this week, the other two targets were saved. Aegis ships moved to Atroco and Byeru Bese. Targets this week were Atroco, Byeru Bese, and Lusonda. The Aegis ships are actually in two of the target systems, which is quite rare. Lusonda has been attacked (unsuccessfully) before. Garnier Station in Byeru Bese was attacked attacked this week, the other two targets were saved. Aegis ships moved to Ndandjimbo and Yukou. Targets this week were Punuri, 63 G. Capricorni and Oitbi. 63 G. Capricorni has been attacked (unsuccessfully) before. The three other targets were all Thargoid Structures this week.